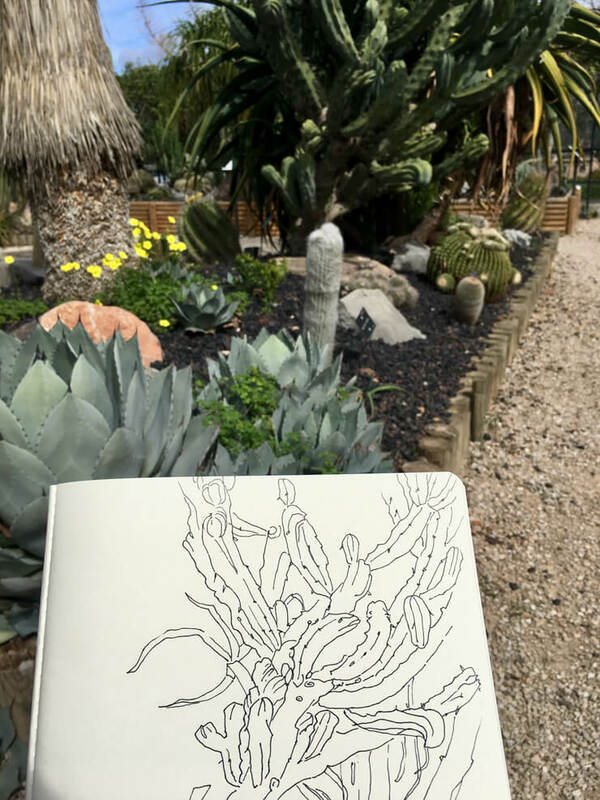 Buried in a beautiful garden in Haarlem, you’ll find pattern illustrator, Maria Vashchuk creating wonderful works of art. Originally a working psychologist in Ukraine, it wasn’t until Maria moved to The Netherlands with her husband that she gave her creative flair a second chance. Since then, The Tiny Garden has been creating patterns to adorn wrapping paper, textiles and apparel. In this exclusive interview, we’ll be giving you an insight into the stunning wall murals created by The Tiny Garden that feature in our designer wallpaper collection. Can you tell me a bit about how you’ve become an illustrator? I’ve always liked illustration. I read books about illustrators; I followed designers online, I wanted to draw and create funny characters. I dreamed of pursuing a creative career, but I was not an illustrator until a bit more than one year ago. Five years ago my husband and I decided to move to the Netherlands from Ukraine. I studied psychology and worked as a psychologist back in Kiev. I loved it a lot. But when you are a psychologist, it means your work is place and language connected (I worked as a consultant). At that point, I understood that I could give my creative endeavour a second chance and try to build a new career from nothing. So, I went to Art School in Amsterdam for four years to learn how to draw and paint, understand colours and use of different materials. At the same time, I took all the courses I could find online about illustration, use of various Adobe programs and surface pattern design. It was an exciting adventure, and I am happy I did it. Now I can say I am an illustrator and I am endlessly thankful to my husband for his support during my career changing path. I love to go to the exhibitions to the galleries and museums. I love botanical gardens and natural museums, zoos, and aquariums. Those are excellent sources of motives for my pattern design work. I love my garden - there is always something green there. Last season I planted a lot of winter plants, so I can see something beautiful through the window of my atelier almost all the year round. It warms my heart. I love to travel, of course. Sometimes I go on vacation with my friends from the Art School. We draw a lot, visit different places, and just to see each other's work is so inspiring! I always come back home with lots of new ideas and inspiration. I adore the work of Matisse. I saw an impressive exhibition in Amsterdam a few years ago and it inspired me a lot. I think he was not just a great artist, but also an excellent designer. I love the intricate floral designs of William Morris. I have a few books with his patterns, and I love to scrutinize them looking for colour combinations, exciting shape mix, and insertion of animals into floral design. You mentioned that you love to travel, where is your favourite destination in the world? Well, when I go somewhere, I think wow - this is the place! 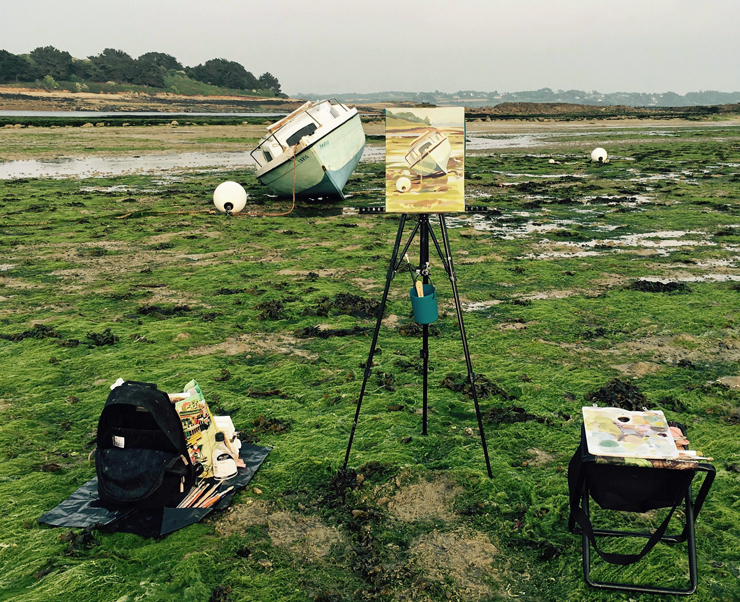 For instance, two years ago I went with a group of artist friends to Brittany, France. It had a fantastic landscape: the rocks, the seacoast were all incredible. There were almost no people. We met a group of local dogs (like 8-10 big and small ones), and for few days they followed us wherever we went. It was so funny! 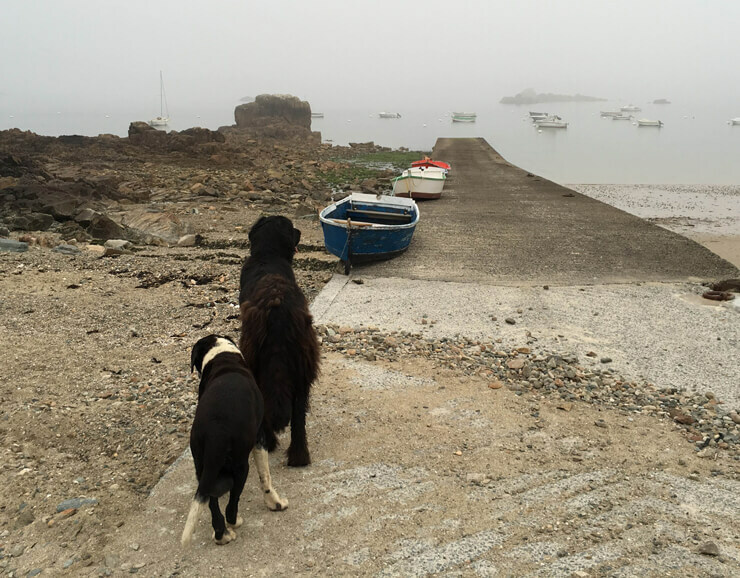 They climbed the rocks with us, sat with me whilst I was painting and accompanied us back home. I am a city girl, so for me, it was incredible to be surrounded by so much nature. The owners of the house where we stayed had an alpaca called Ernesto. His head always appeared from the bush when we were discussing the works in the evening and it made us laugh so much! I think it's not only the place that makes an experience unforgettable, but all together - environment, locals you meet, and of course, the people you are travelling with. What’s your favourite piece from your wall murals collection? I love dinosaurs a lot. I have created them after I visited the natural museum in Frankfurt, Germany. There were the skeletons of those profound, massive, prehistoric creatures that inspired me a lot. From my childhood, I remembered that when I went to my grandmother's house, she had a big collection of Soviet Encyclopaedias. The one with illustrations of dinosaurs was my favourite. Why did you choose these pieces for your wall mural collection? I think because those are my favourite ones. They are picked from different collections, but I think they give a good overview of what I design. 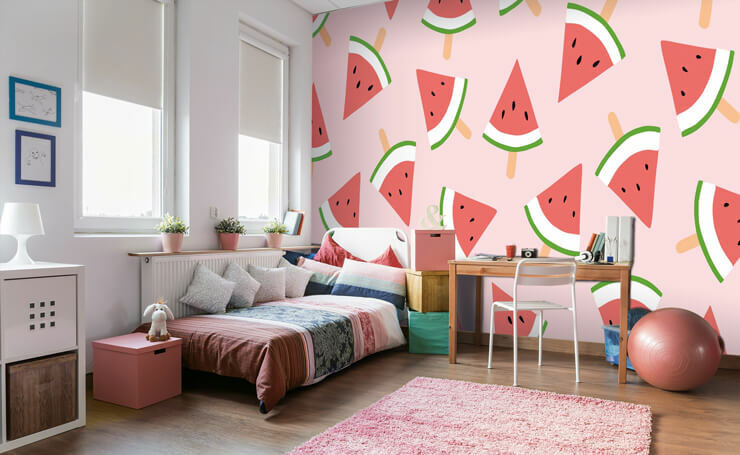 I like that my Wallsauce wall mural collection presents my older and newest designs. I also wanted to have both floral and animal designs in the collection because it's two main categories I love to create. Which rooms do you see the murals being installed? 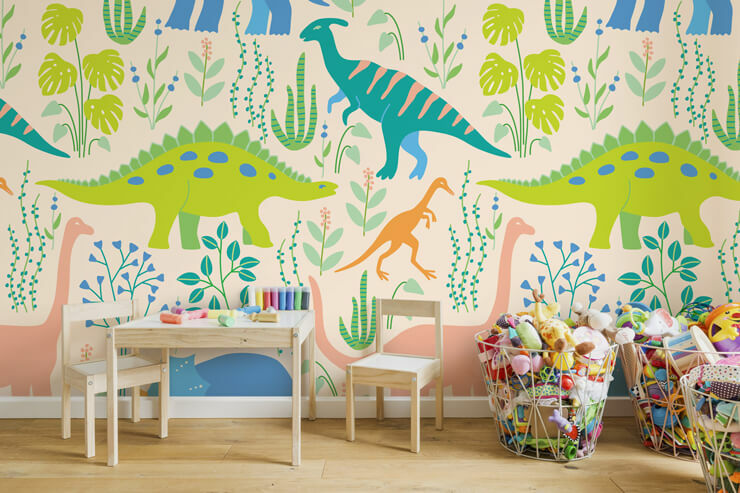 Well, dinosaurs, foxes, and watermelons would be lovely on walls in a kid’s room. I see florals in the bedroom or next to the staircase. I have wallpaper next to the stairs at my house - it gives so much 'at home' feeling. Oh, we just moved to a new house last summer. I designed all the rooms, so it's a difficult question! I love my living room because it's a gathering place for my family and I like to invite friends for dinner and have a conversation with them there. For me, it's a place with good energy. And, of course, I adore my atelier. It gets messy there at times, but it has a view to my garden and a lot of northern light - all I need to work. What would it mean to you to see your murals take pride in someone’s home or workplace? I think when someone likes your design and they decide to put it in on their walls in their house or working space - it's a great honour for me as a designer. It would make me very happy. Do you have any tips for the aspiring illustrator? I think it is crucial for the illustrator to sketch as much as they can, draw different subjects not just on the computer but also by hand from the observation. Sometimes unexpected subjects can lead to creating exciting work. If you make kid’s designs, it's essential to be a bit a kid yourself and have fun with your pen. For me, illustration and design it's all about having fun! 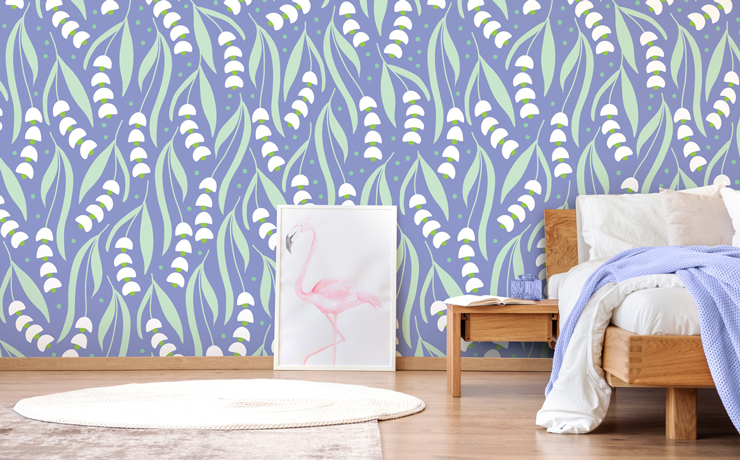 Head on over to The Tiny Garden’s wall mural collection to see Maria’s beautiful designs.